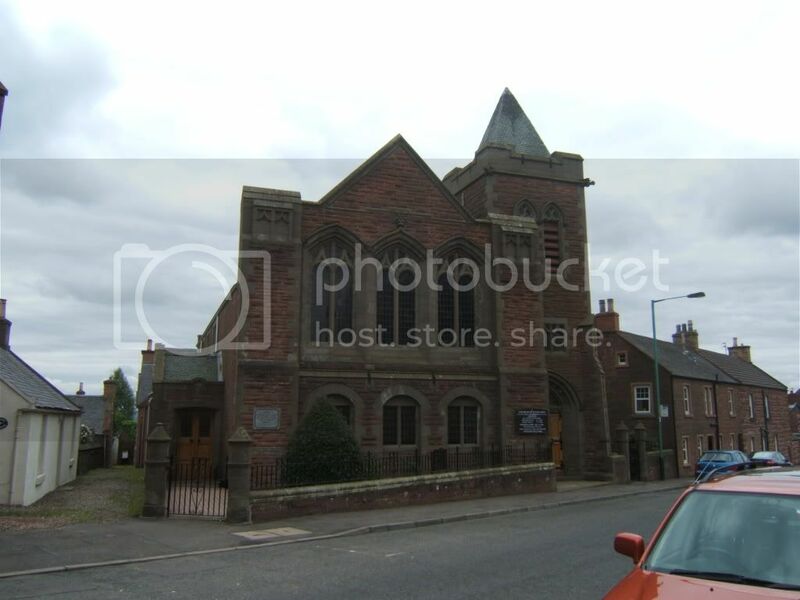 The memorial is located inside St Andrews church, Kirriemuir (OS Map Ref not known). This was formerly the South United Free church. 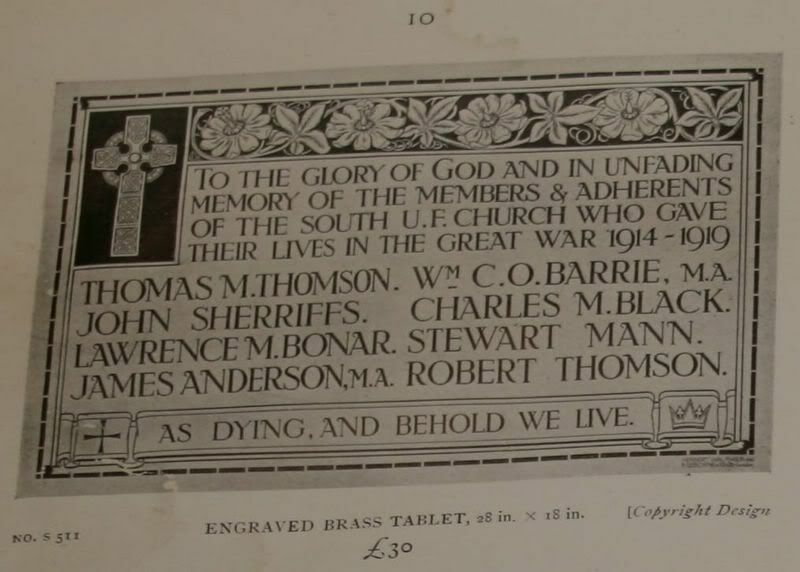 The following photo comes from the catalogue of Osborne's who made the memorial. I originally thought this was UKNIWM 5670 but I received the following today from UKNIWM. The memorial you attached to this previous email is not actually Ref:5670, as I have seen the photos for that file and they are different. So I have filed it accordingly and it will be used to create a new profile in due course. It is in the same Church though. 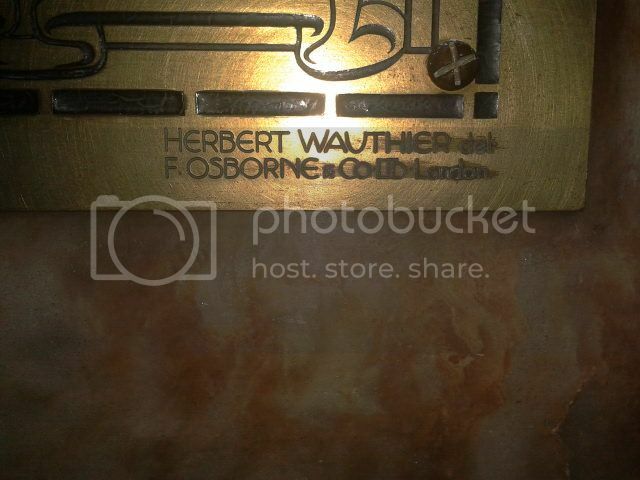 The plaque is the work of Herbert Francis Wauthier. 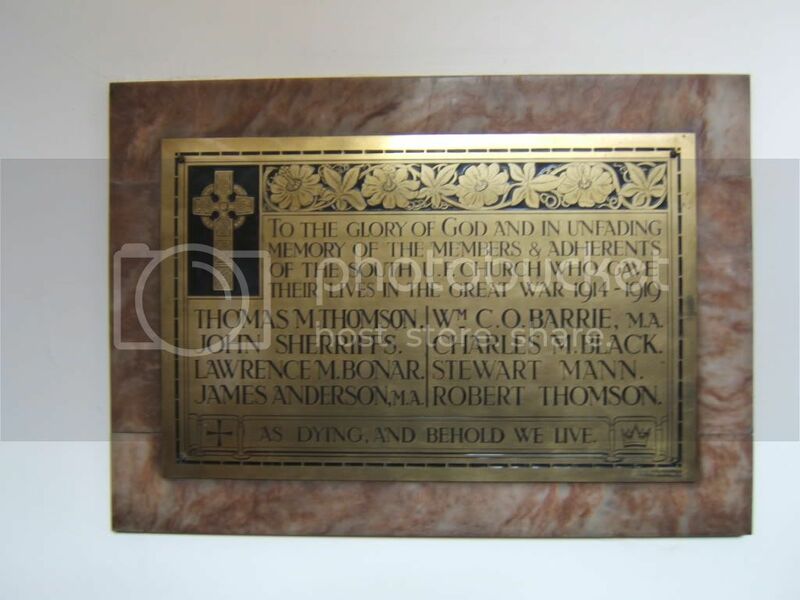 Additional information: Son of the late Alexander Ogilvy Barrie, H.M.I.S., and of Mary Cowan Barrie, of "Strathview," Kirriemuir, Forfar. Grave/Memorial Reference: Pier and Face 10 A.